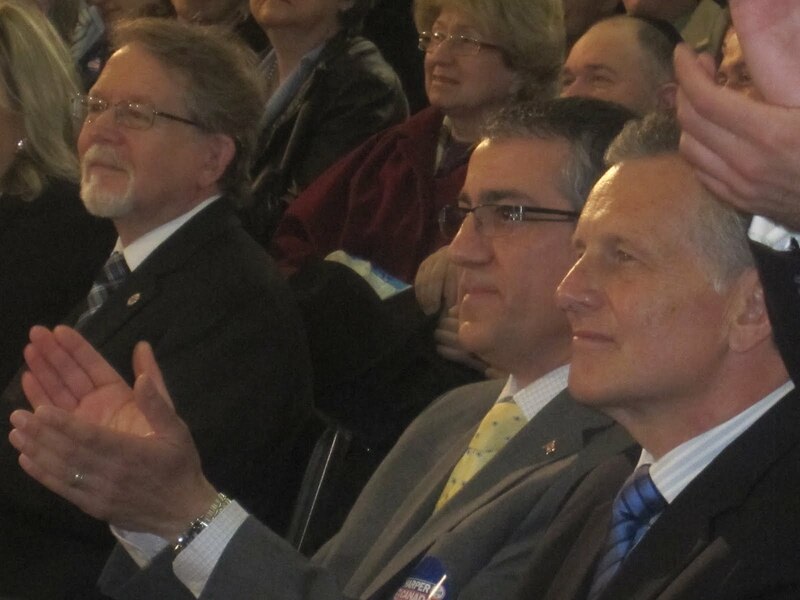 I was part of history this morning as Prime Minister Stephen Harper paid the ultimate compliment to Saulie Zajdel, his Conservative Party star candidate in one of the country's greatest Liberal strongholds. 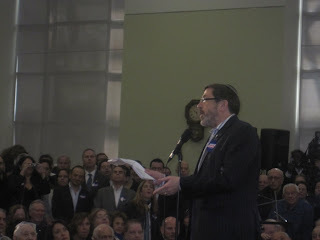 Only three days before the federal election, Harper chose to visit the Mount Roy al riding and address a large and enthusiastic gathering at the Ben Weider Jewish Community Centre in Snowdon. This marked the first time in the five years Harper (left) has served as prime minister that he visited Mount Royal. "He certainly would not have done so unless there was a feeling we have a chance to win this riding," Gary Shapiro, a longtime riding executive, told me. 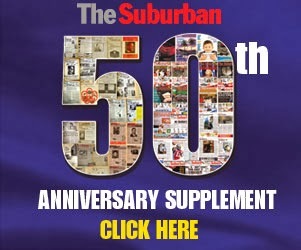 Amos Sochaczevski, who owns The Suburban Newspaper, echoed those sentiments. 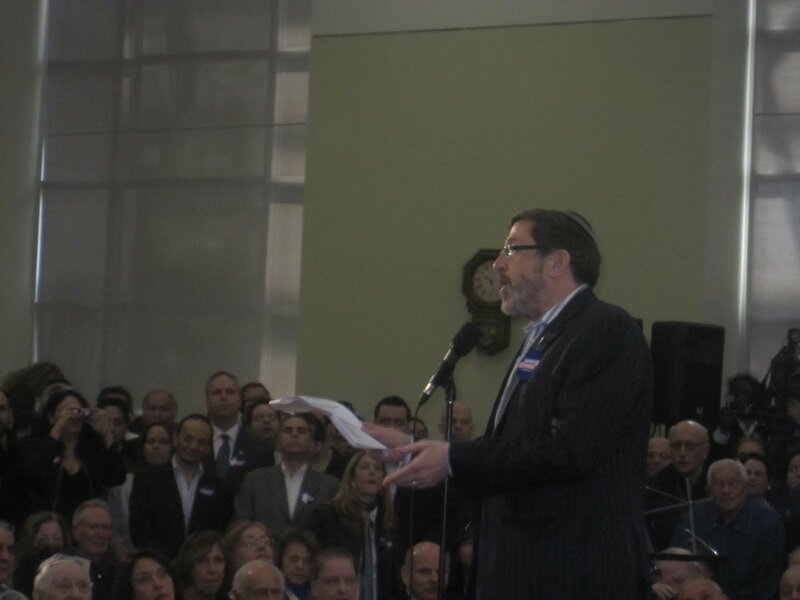 He also told the crowd that despite the fact he is personal friends with Mount Royal Liberal MP Irwin Cotler, he is firmly behind Zajdel and the Tories. To thunderous applause he thanked Harper for being the best prime minister Canada has ever had in terms of standing up for Israel. in the room and then welcomed Harper on stage. "Saulie Zajdel is campaigning right to the last drop of his voice," Harper said in his opening remarks. 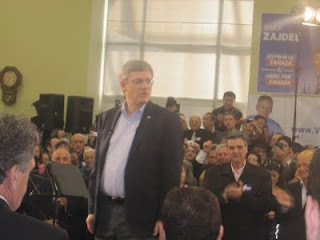 Wearing an open shirt, a wireless microphone and glancing occasionally at a teleprompter Harper told the audience why it is necessary to elect a majority Conservative government. "The minority Parliament did not focus on the economy," he said. "Canada cannot go back to another minority Parliament like that." Harper picked apart his opposition, warning of dire consequences if a coalition involving the NDP, the Liberals and the Bloc were to take power. He took questions from select media at the end, most of whom seemed quite confrontational. "If you have another minority government, will you resign?" one reporter asked. Harper replied that if his party wins the most seats he will accept that as another mandate to lead the country. Can the Tories do the unthinkable and take Mount Royal? I have never seen Irwin Cotler work so hard, blazing the campaign trail like a youngster at the age of 71. He and his team have taken nothing for granted. Zajdel told me he feels good. It should be a very interesting Monday night.